NextReports 4.0 has been released. From this version, both designer and server will have the same major number. 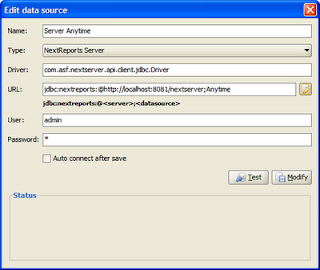 One of the new functionality from designer is the possibility to create a data source of type NextReports Server. This means designer will use a driver found on the server. You do not need the driver on your computer. 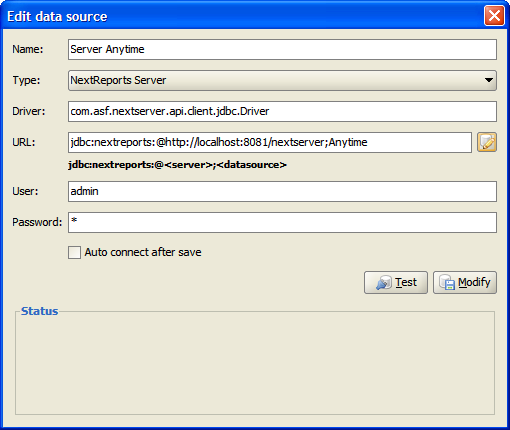 This JDBC driver is implemented using Web Services. To be able to browse the data sources, the user and password entered for driver connection will be used. This functionality is very important for companies which do not want to expose their databases. The DRIVER AND VEHICLE LICENSING AUTHORITY still reports that it was well within their dvla contact number rights to auction or crush the cars that it impounded.